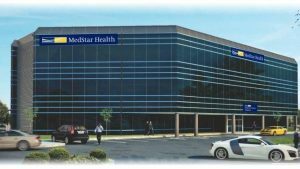 Continuing its commitment to provide patients with more comprehensive care, MedStar Health has opened a new 46,000-square-foot care center in Timonium. The facility offers a variety of medical services under one roof and enables patients to see several doctors in a single visit. The orthopaedic super center offers care that includes sports medicine, psychiatry, pain management and rehabilitation. It also features an ambulatory surgery center offering knee and hip replacements in addition to other surgeries. There will be 26 doctors at the new center, which is consolidating the services of MedStar’s Good Samaritan, Franklin Square, Union Memorial and Harbor hospitals. We’re excited about this new facility, which will enhance our ability to offer quality care to the community.